Joseph Mdluli was born in 1925 in lngwavuma, Northern Natal (now KwaZulu-Natal), the only son in the family. He grew up looking after his father's cattle and goats. As a young boy, he was very adept at stick- fighting, often emerging triumphant in these fights with friends. Mdluli earned his a living as a hawker. He joined the African National Congress (ANC) in 1952, the year of the Campaign for the Defiance of Unjust Laws, inspired by the heroism of the volunteers who defied arrest. As a result of political activities, Mdluli was arrested in 1966 and subsequently sentenced to one year three months imprisonment. Upon his release in 1968, he was banned for two years. Despite this, Mdluli never tired to serving and fighting for the oppressed people. Between November and December 1975, the security police arrested several members of the ANC’s underground in the Natal midlands. After obtaining information on the Durban network they added Mdluli as a co-conspirator moved to arrest him. On 18 March 1976, members of the Special Branch took Mdluli from his home late night. The following day he was reported dead. It was at the trial of his comrades, the ‘Pietermaritzburg Ten’ trial that the significant role played by Mdluli in the struggle against apartheid became known. It was alleged that he attended meetings of the ANC in Durban and had paid for the transportation of a number of young militants to Swaziland. This was part of a detailed plan to overthrow the government by bringing in trained guerrillas into South Africa through the coast and forming them into a sabotage force. He was also alleged to have incited people in Lamontville to undergo military training outside South Africa. Two days after his death a post-mortem examination was held from which a private pathologist engaged by the family was excluded. The family lawyer, Griffiths Mxenge, demanded that a second post mortem be held. This was refused. On 24 March Mxenge was himself detained. On 12 April, the Minister of Justice denied that there was any attempt to cover up the death of Mdluli. Then on 13 May, the ANC released photographs of MdIuli's corpse at a press conference in London and charged that he had been tortured to death. The photographs showed extensive injuries subsequently found to include a fractured cartilage and severe bruising to the neck, extensive bruising on the forehead, temporal area and back of the scalp, abrasions in numerous places, deep bruising near the rib cage, three broken ribs and numerous bruises and abrasions on the body and limbs. The brain was congested with haemorrhages although the skull was still intact. The lungs were blood congested and waterlogged. In an unprecedented move on 11 June, following international protest, the Minister of Justice announced that four Security Branch policemen were to be charged with the culpable homicide of Joseph Mdluli. The trial that followed proved farcical and merely continued to conceal the responsibility for Mdluli's murder. The four accused policemen. Captain D. F. van Zyl, Lieutenant A. R. Taylor, Detective Sergeants M. P. Makhanya and Z. Ngobese, did not even give evidence. Instead the prosecutor produced an agreed statement of facts, thus avoiding a potentially revealing cross-examination of the accused. According to the police explanation, Mdluli was arrested on 18 March at about 10 p.m. and attempted to escape from the Durban Security Branch headquarters at 10 a.m. the following morning, was restrained and a fierce struggle ensued. After the struggle Mdluli was calm and made no complaint of any injuries. This incident was reported to Major Coetzee who satisfied himself that Mdluli was not injured. Mdluli's interrogation continued with occasional breaks until about 8.30 p.m. when he suddenly got up, held his head, staggered and, complaining of dizziness, fell with his chest or neck on to the back of the chair. The chair toppled and Mdluli fell against the door. Shortly after this, at 9.55 p.m. he was dead. This explanation could not begin to explain the extensive injuries found on Mdluli. Giving evidence, state pathologist Dr. van Straaten said that he was called to Fisher Street at about 11 p.m. and shown the body of Mdluli covered by a blanket. Photographs were taken and Dr. van Straaten examined the body shortly after midnight. An officer demonstrated to him how Mdluli had fallen over and died, although he made no mention of Mdluli hitting a chair. Dr. van Straaten stated that his first reaction on examining the corpse was 'here is a man who could have been dead for anything up to 12 hours. I did not take the body temperature as there was the cream of police society telling me that the man had collapsed and died in their presence'. When Dr. van Straaten conducted the post-mortem, he found numerous injuries, which could not be accounted for by a single fall on top of a chair. He found that there had been more than one application of force to the area of the neck on which the fatal injuries appeared. Professor I. Gordon, the chief state pathologist in Durbin, corroborated Dr. van Straaten's evidence. He examined the body on 22 March at the request of Dr. van Straaten, who pointed out his findings. They decided to change the description of the cause of death from strangulation to 'the application of force to the neck'. He confirmed all the injuries and said, 'it seems that the application of blunt force took place at separate times and not in continuity'. Acquitting the accused, Mr. Justice James found that the case against the four policemen had not been proved. 'If police evidence was to be accepted at face value the four accused were not responsible for the death of Mr. Mdluli... it was clear from the doctor's evidence that Mr. Mdluli died almost immediately after receiving the neck injuries. If he had died of these injuries in the morning after a scuffle with the four accused, all the policemen in the building would have had to enter an elaborate conspiracy to conceal his death until evening. I consider the probabilities overwhelming that the accused did not give Mdluli the fatal injuries to his neck that morning. As this was the only occasion on which it is alleged that they assaulted Mdluli, it follows that they were not responsible for his death. It then follows that whatever view one may take of what occurred, all the accused are entitled to an acquittal on the charge they face'. The judge found their story open to 'very considerable doubts'. He concluded 'I need hardly say that the problem of how Mdluli met his death is one that should be solved and it is one of great importance'. The judge in the trial, Mr. Justice Howard, dismissed the testimony of the accused that they were tortured, but in a section of his 15-hour judgement stated that the injuries that caused Mdluli's death in detention could not have been self-inflicted nor caused accidentally. The judge found that most, if not all, of the injuries on him were inflicted by one or more unidentified members of the Security Police. 'We are satisfied that Mr. Mdluli sustained the injuries while he was in the custody of the Security Police. There is no evidence of how he suffered the injuries or in what circumstances. That is a matter peculiarly within the knowledge of the persons in whose custody he was at the time and none of them has given evidence', said the judge. These remarks absolve the judge of any responsibility and refer investigation of the death back to the police. 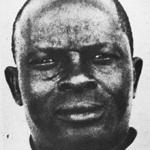 In February 1977, the Natal Attorney-General announced that the investigation into the death of Joseph Mdluli, ordered by Justice James, had been completed. No new evidence had become known, he said, and no further prosecutions would take place. Through the family’s relentless efforts, they succeeded in having four security branch police officers charged with culpable homicide arising from the death of Mdluli. The court ruled that Mdluli had committed suicide. Mrs Mdluli sued the Minister and the four policemen for R 30 000. In 1979 the widow of Mdluli was paid R15 000 by the Minister of Police in an out of court settlement. • SAHO, XIII ”“The Courts, [online] Available at www.sahistory.org.za Accessed on 9 February 2012.